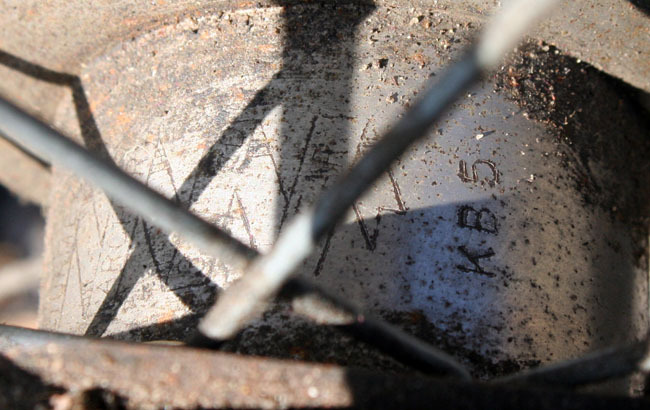 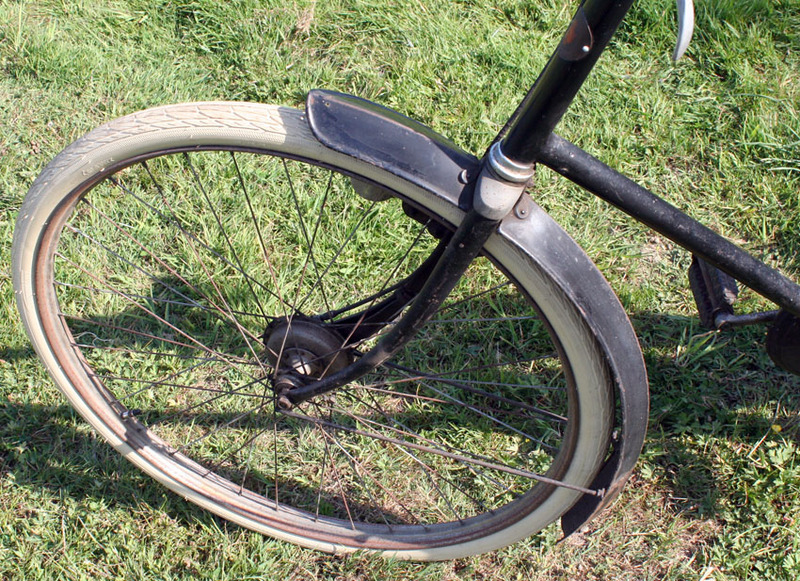 The 28″ frame size was available only by special order. 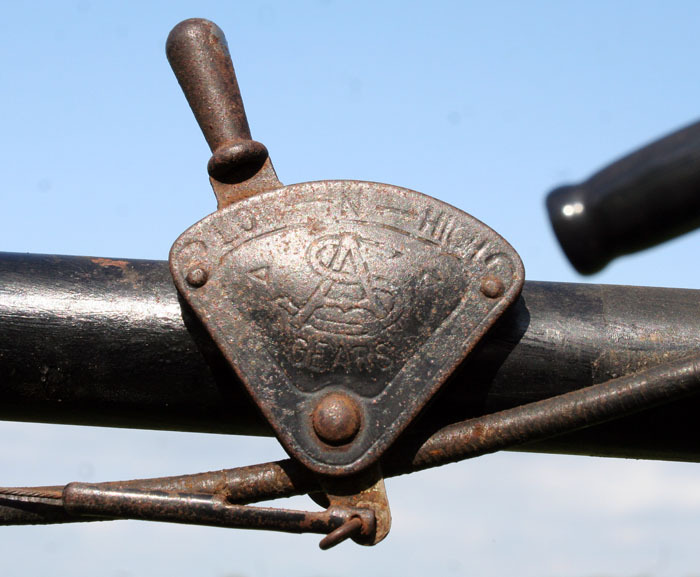 This makes this 87-year-old machine a rare example today. 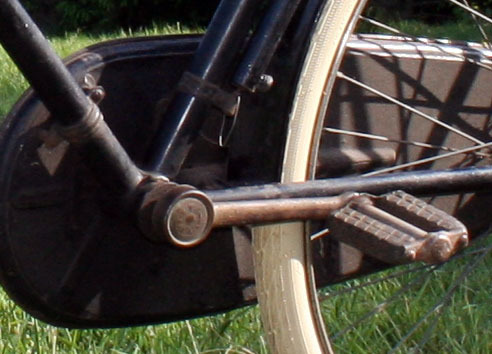 The paintwork appears to be original. 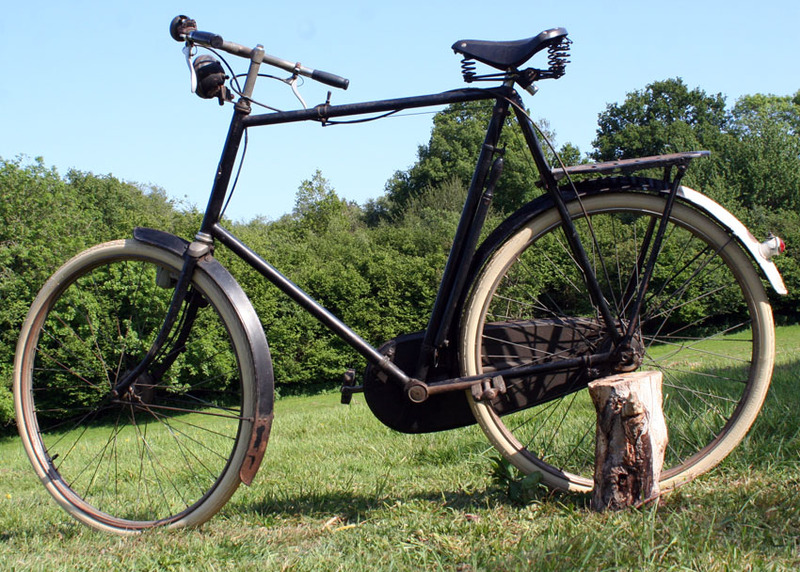 It is unrestored cosmetically, but mechanically it’s ready to ride. 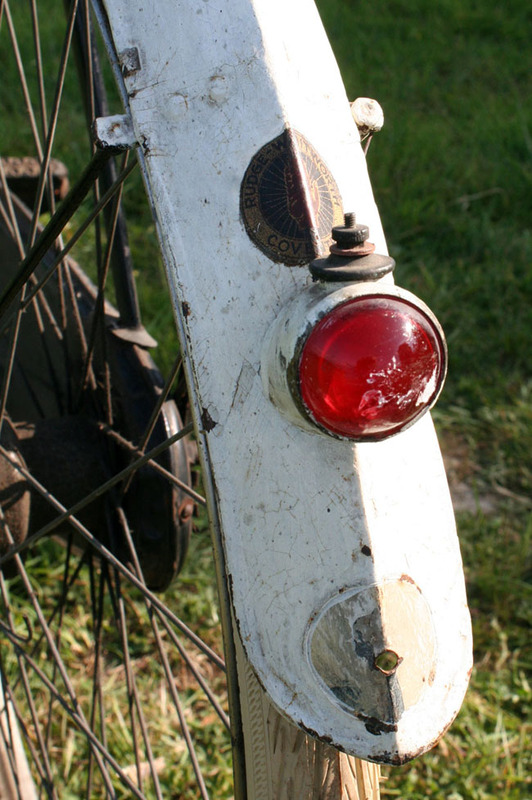 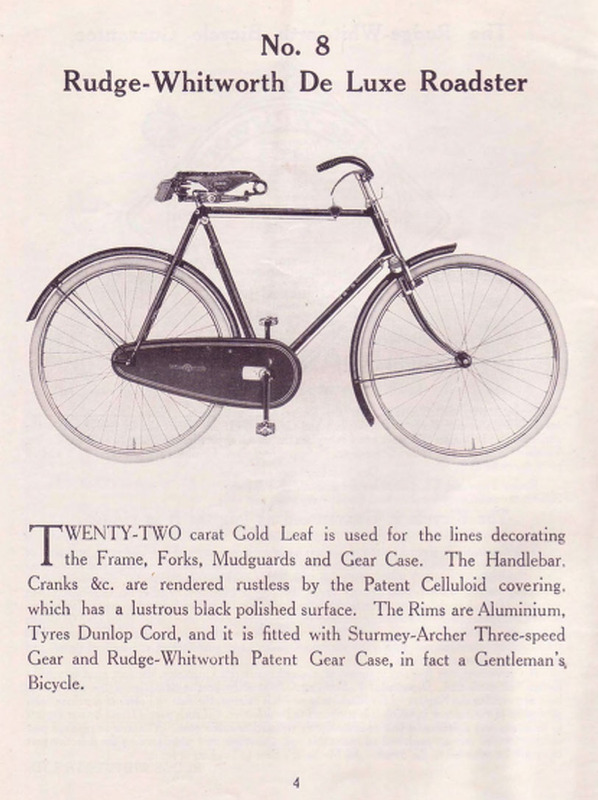 You’ll see further down the page that it has some rare fittings; the small details on this bike are very interesting. 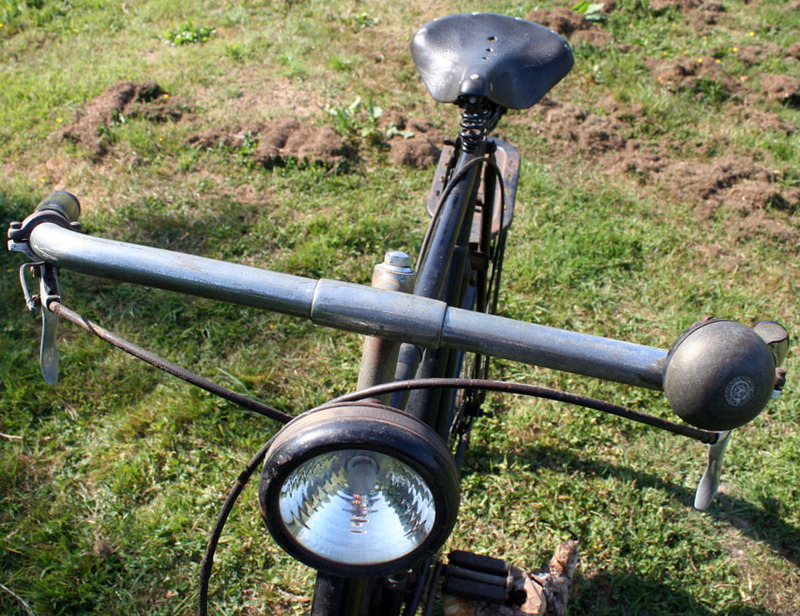 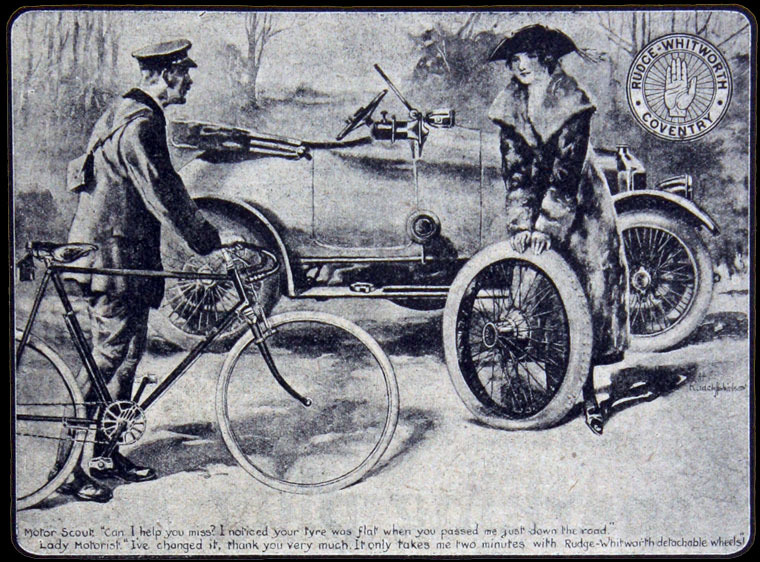 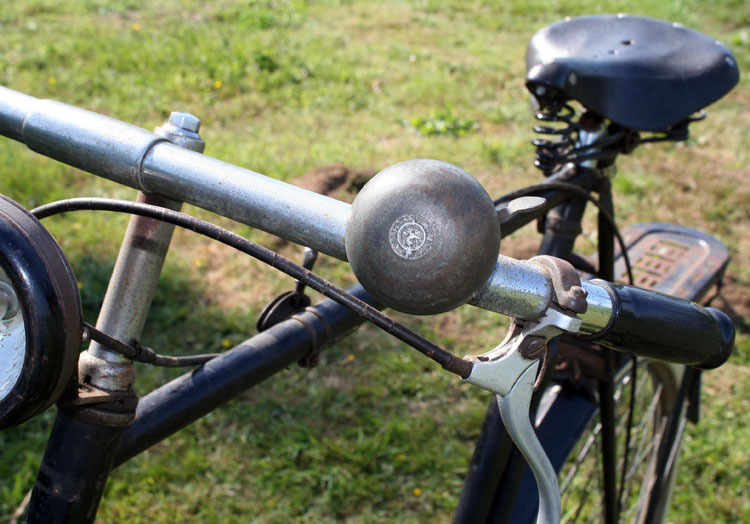 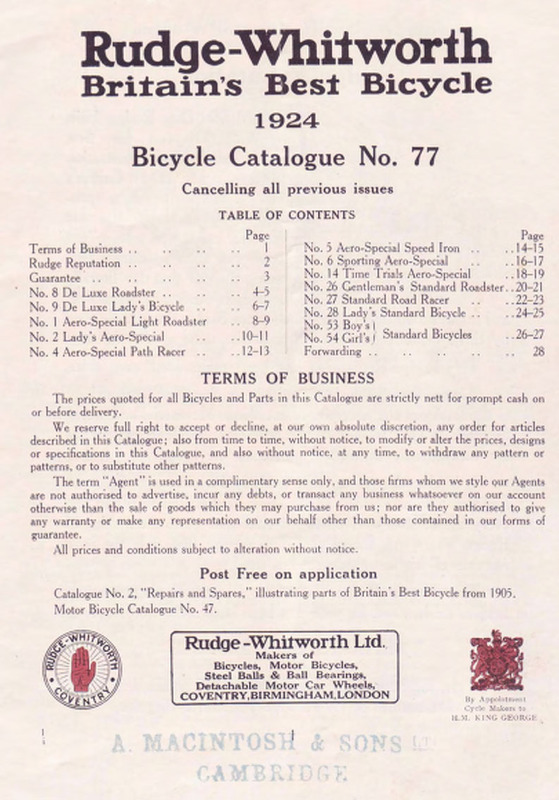 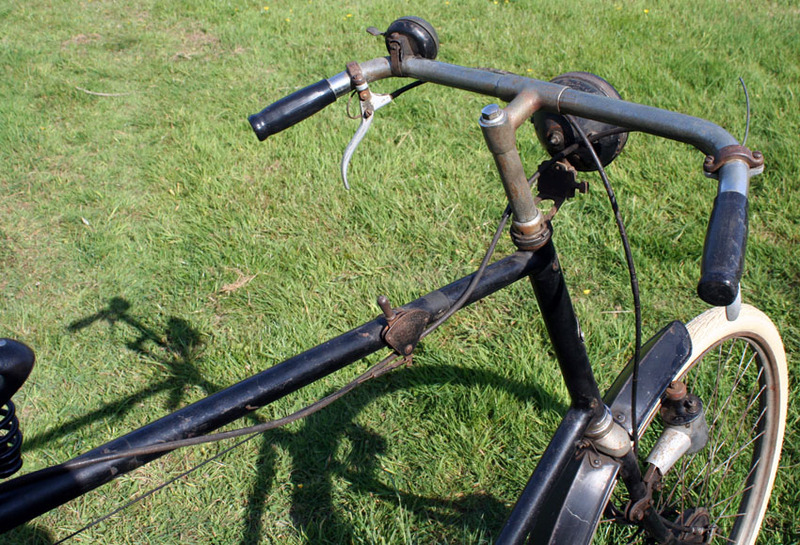 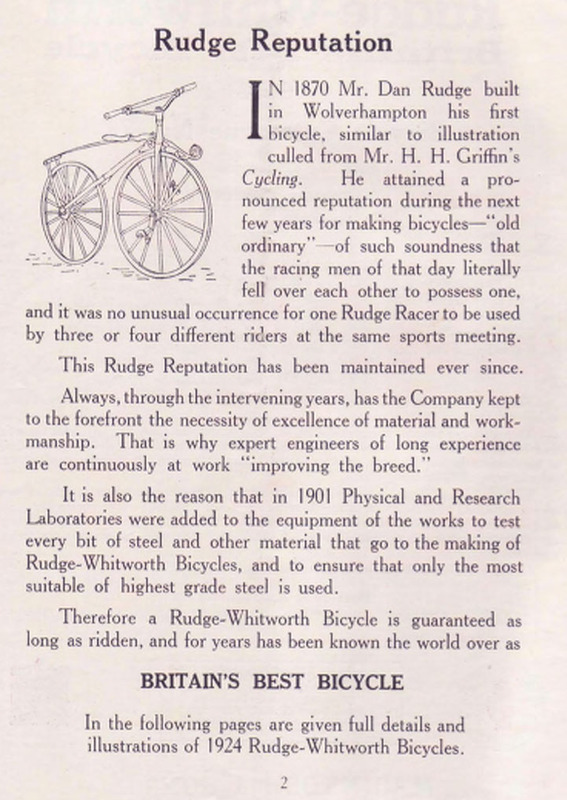 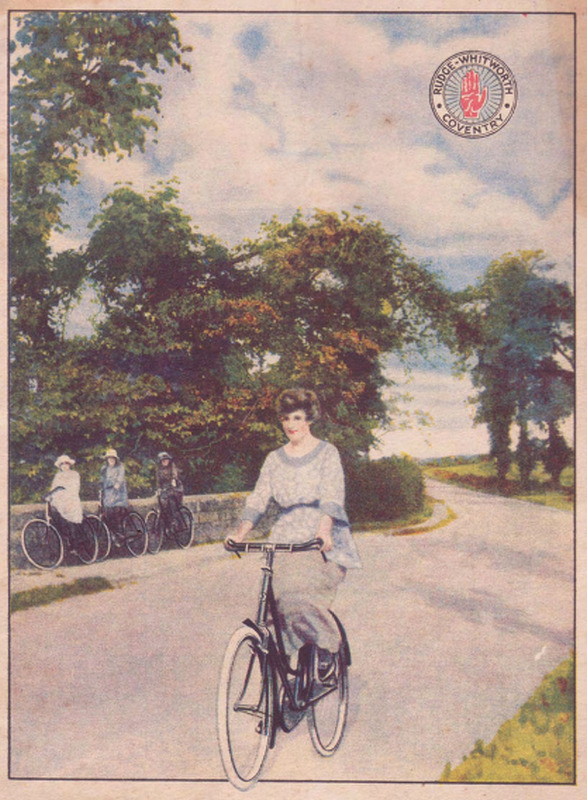 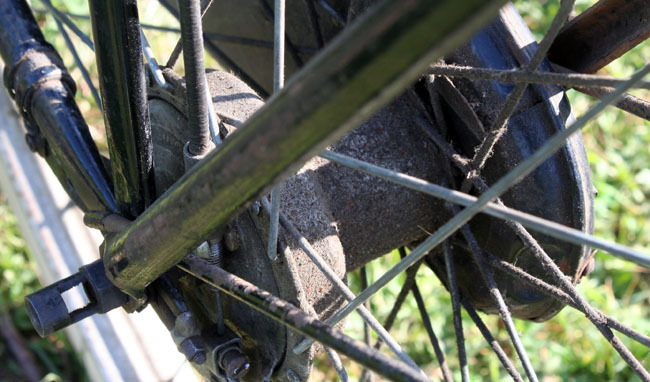 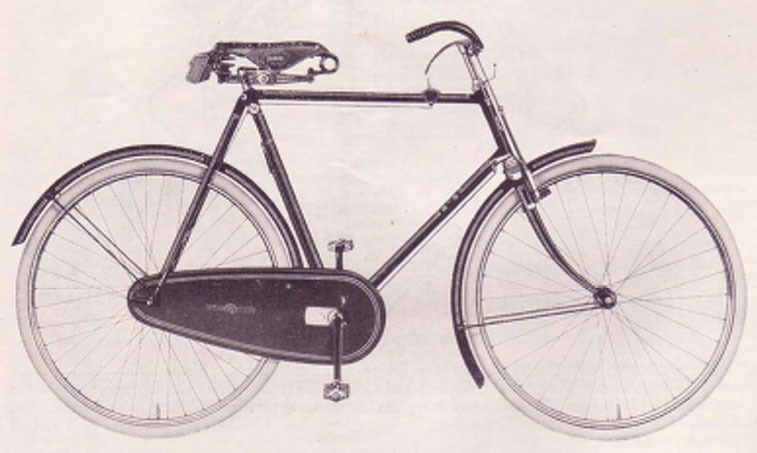 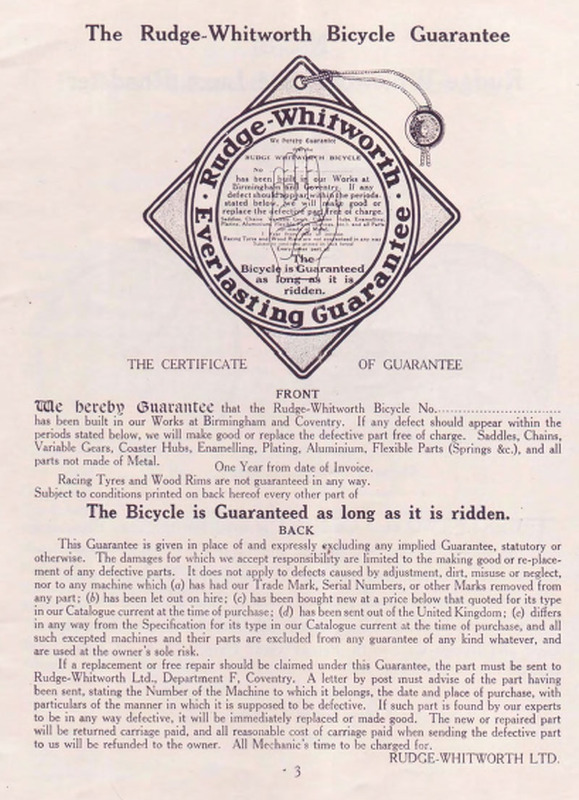 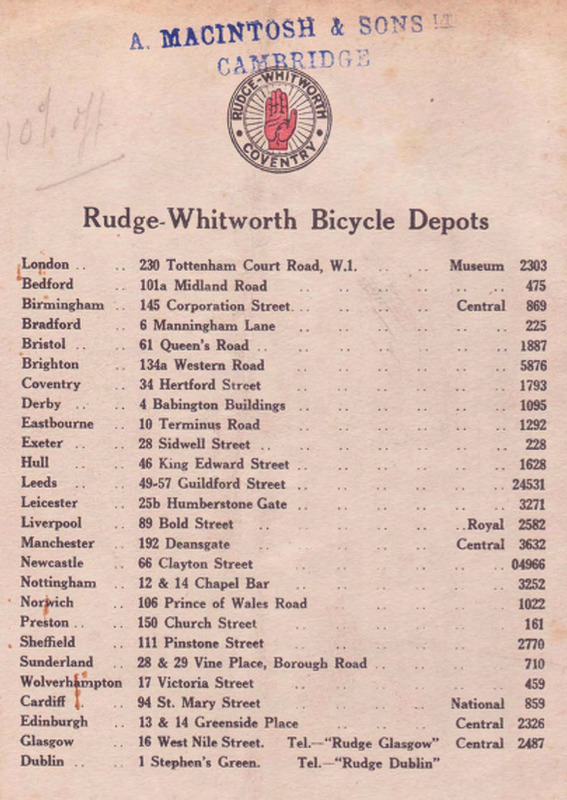 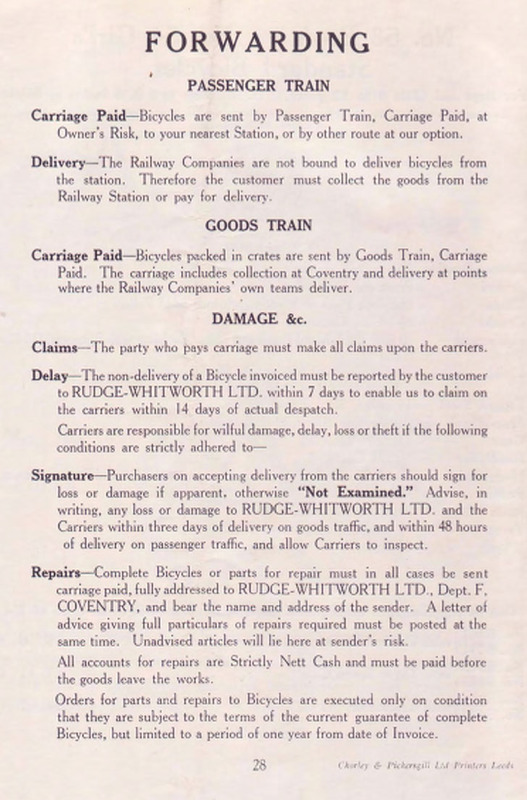 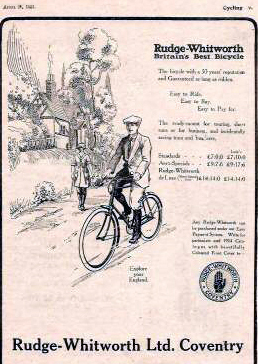 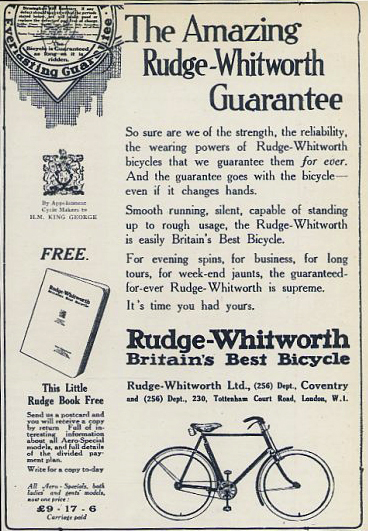 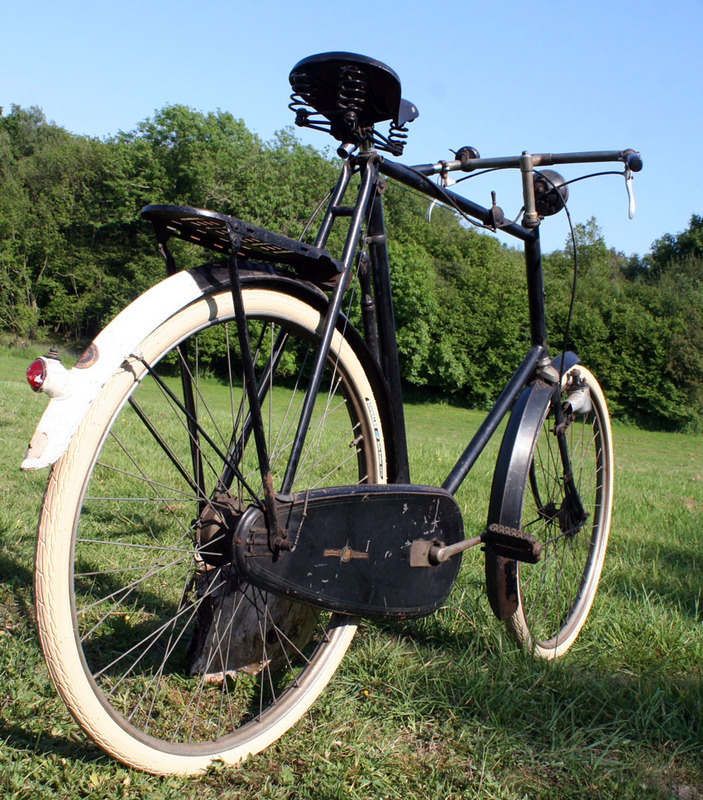 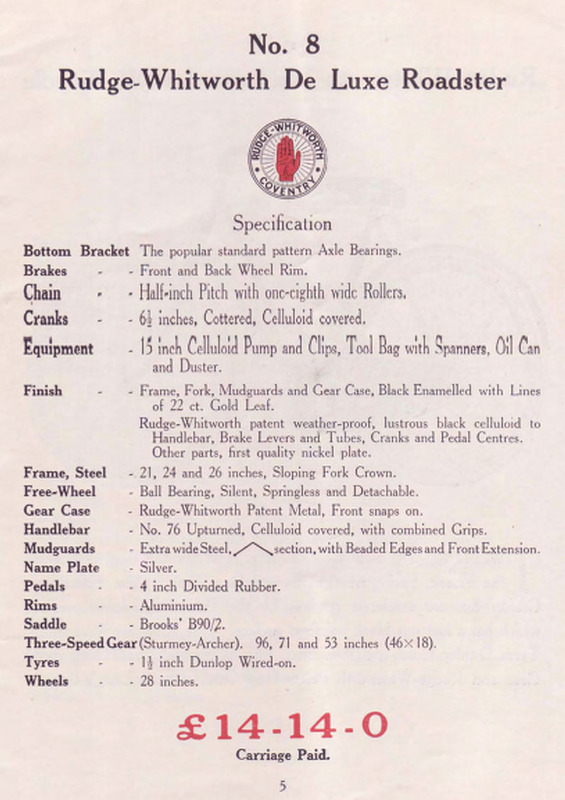 Rudge-Whitworth brakes were not very effective in the 1920s, and it was common for them to be updated. 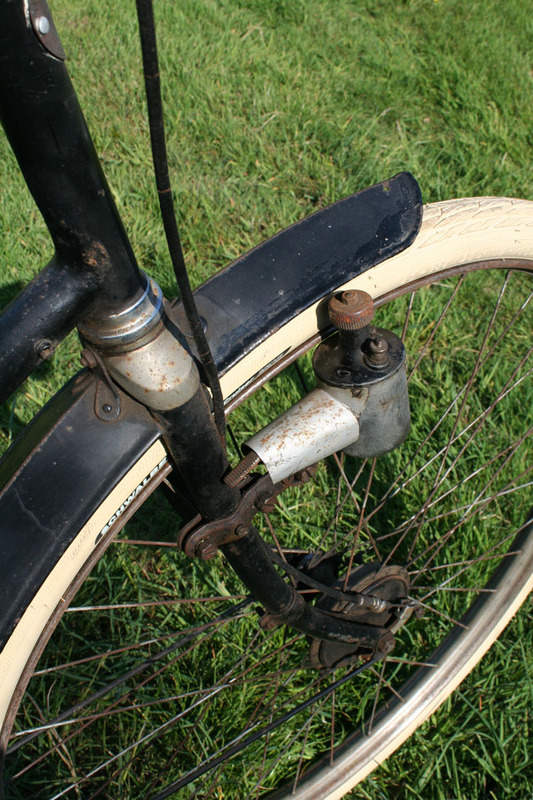 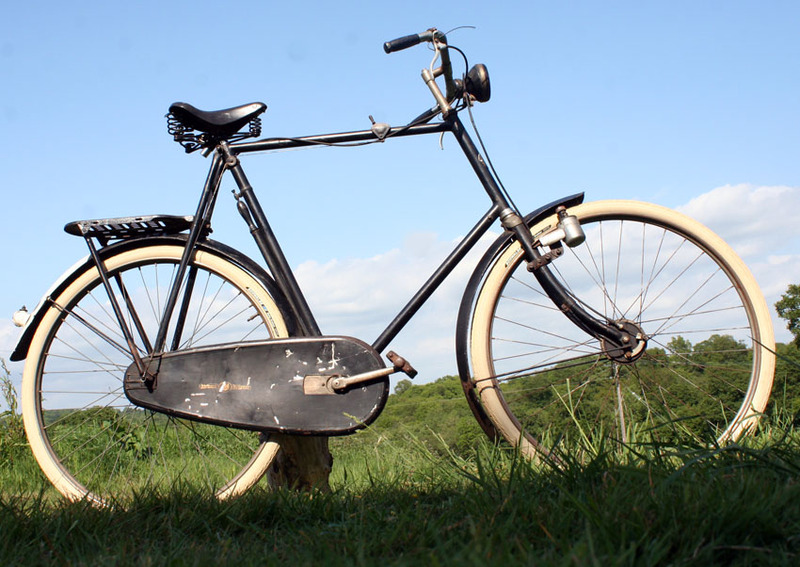 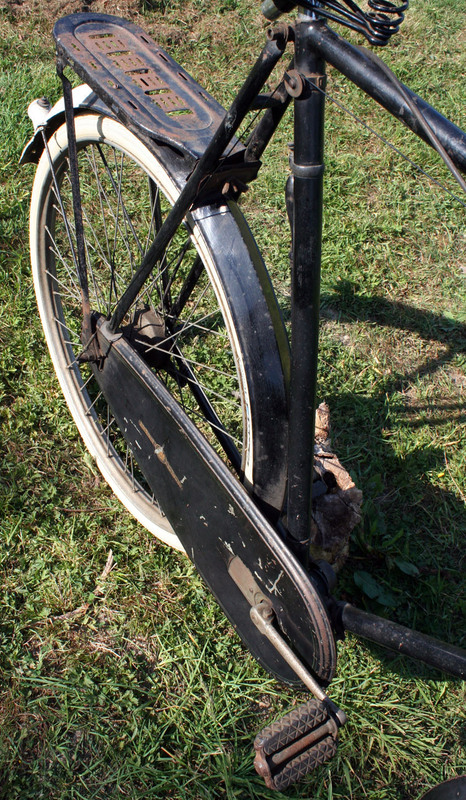 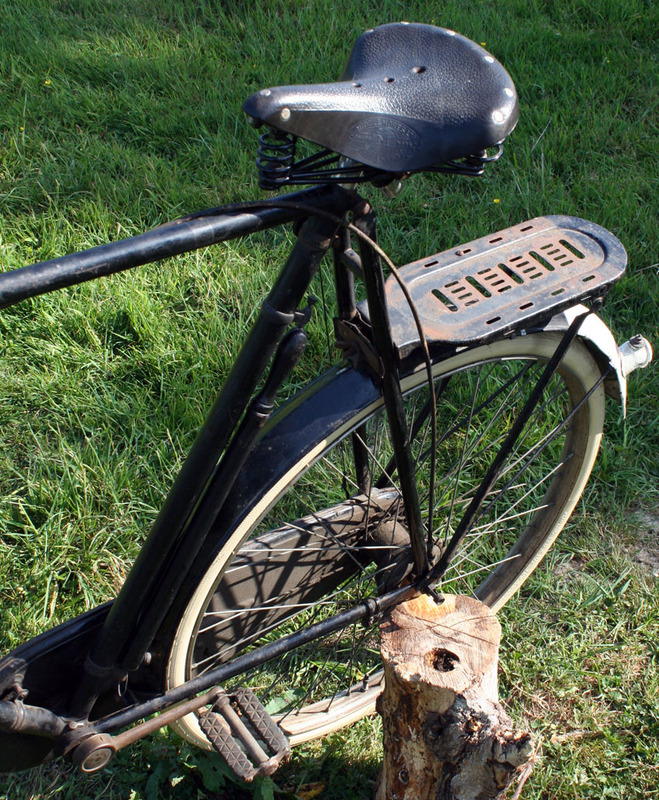 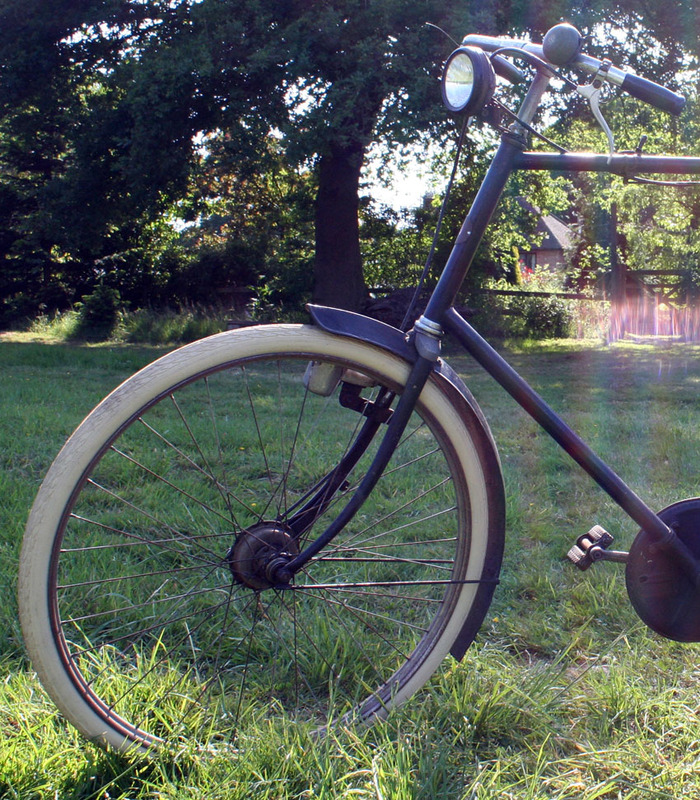 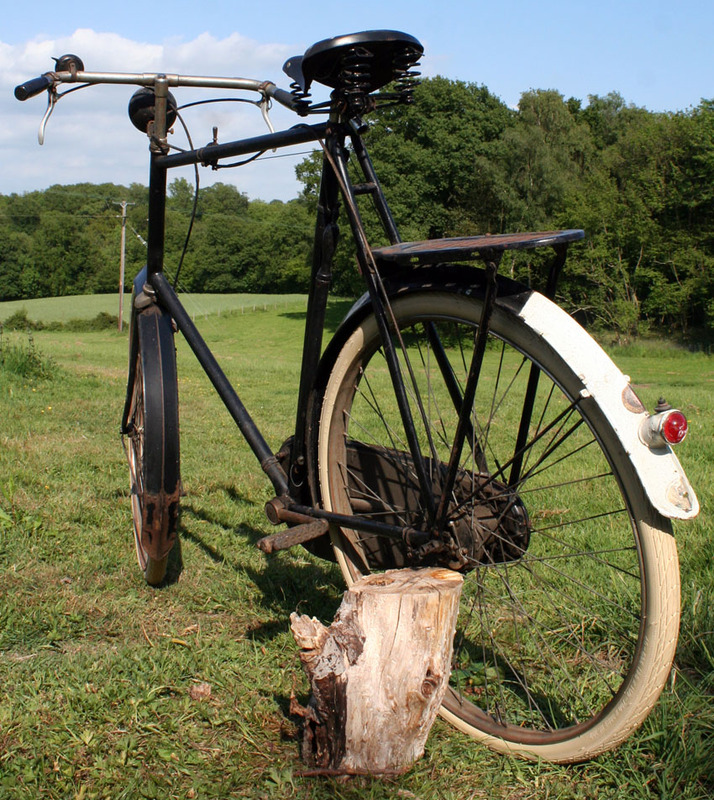 Many years ago, this machine was upgraded to drum brakes, including the 1935 Sturmey Archer 3-speed KB5 hub. 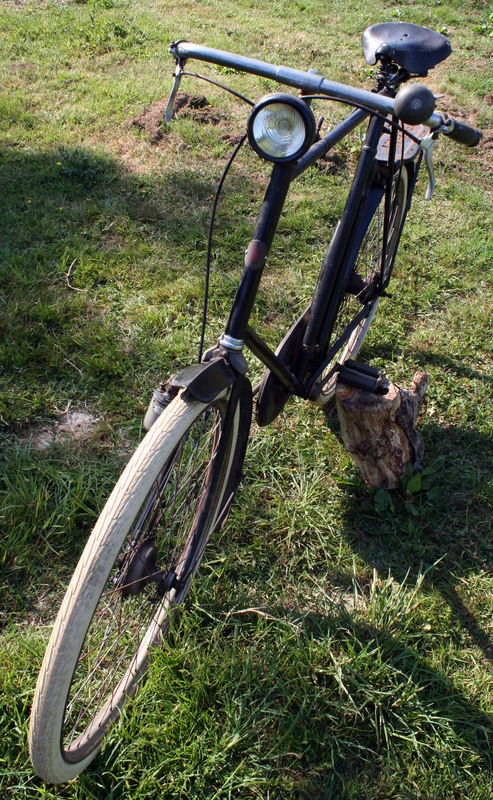 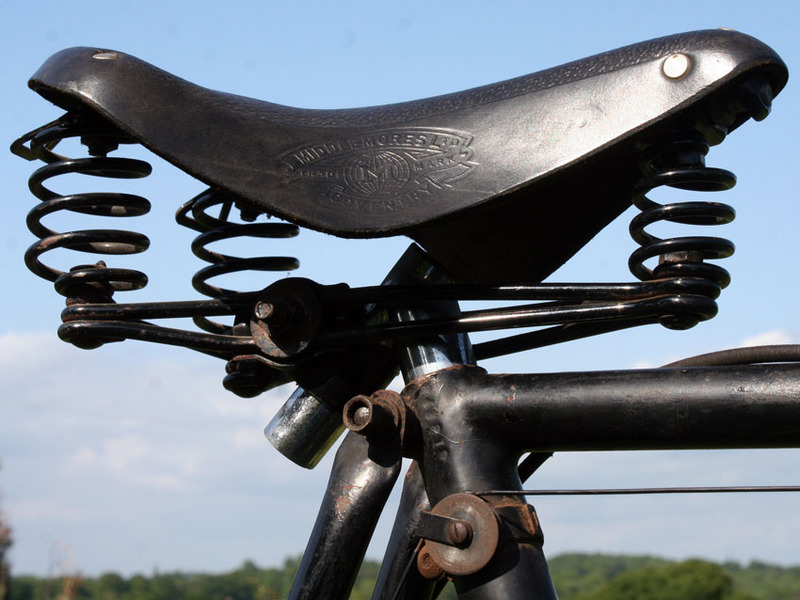 The front brake is reasonable, and the rear brake is excellent. 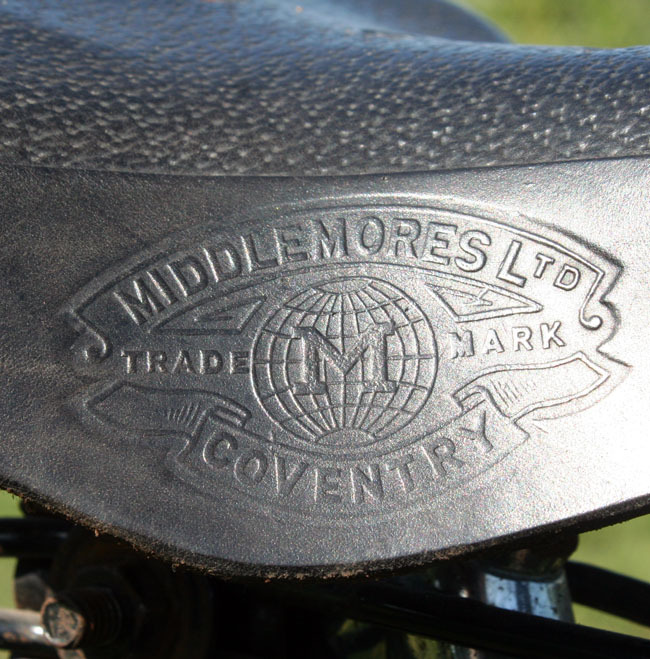 The saddle is a Middlemore. 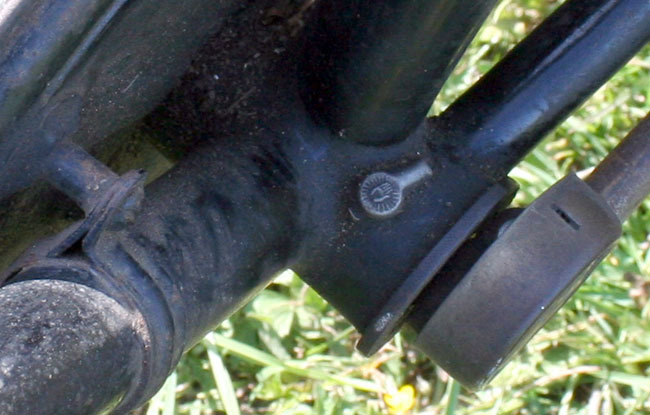 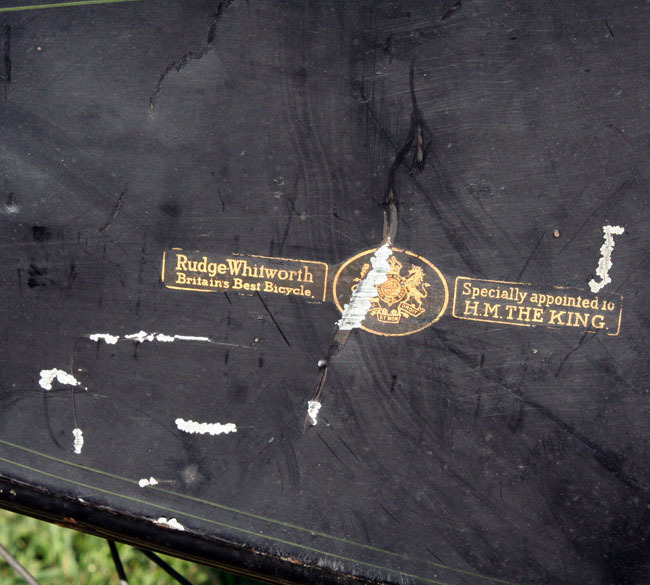 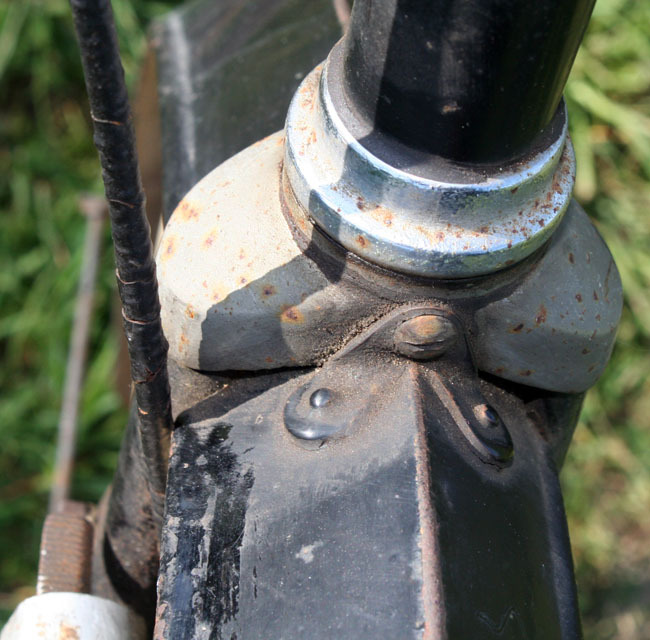 This bicycle has some nice fittings: observe the rare Rudge-Whitworth dust cover on the bottom bracket oiler. 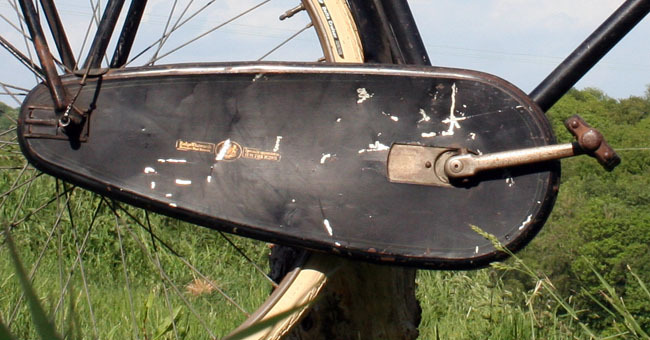 And also the cover on the pedal crank, below.